At Blockhouse Bay Primary School we report against the New Zealand Curriculum levels. We let you know if children are working in relationship to these curriculum expectations in Reading, Writing and Mathematics. For example the report might show that your child is meeting expectations, exceeding them or needs more help to reach expected curriculum levels. 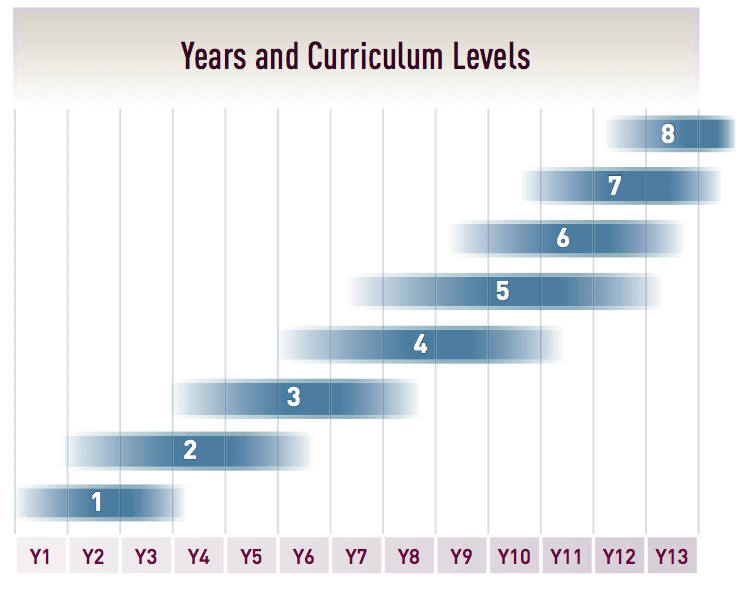 Within each of the curriculum subject areas, most students will progress through levels 1-5. Within the New Zealand Curriculum the level that each child is learning at will vary compared to the other children in the same year. Once your child has mastered most of the skills, knowledge and understanding of each learning stage within the level, they will move on to the next level. It is important to know how well the children are achieving in the different learning areas, we all progress at different rates and start from different places. Our Writing and Reading Pathways will help provide understanding of the children's learning and their next steps. These help us to better acknowledge the different ways and pace at which all children learn, and the progress they are making, no matter how big or small. It will also support teachers to provide more learning opportunities based on what your child already knows and can do. Key Competencies : what are they and why do we have them? What is the Reading Colour Wheel?